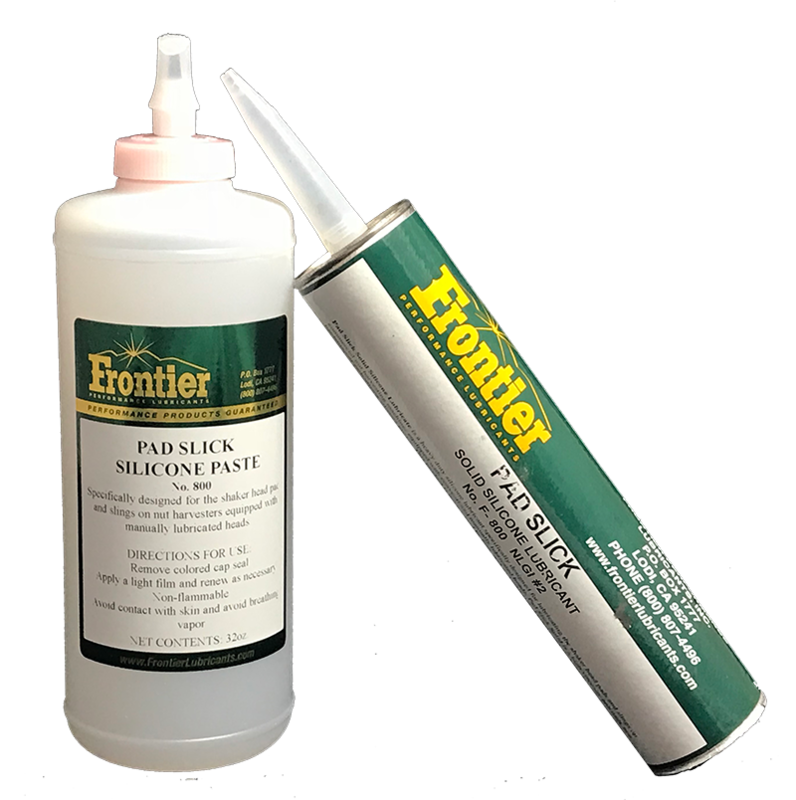 Pad Slick Solid Silicone Lubricate is a heavy duty silicone lubricant specifically designed for lubricating the shaker head pads and slings on commercial nut harvesting machines equipped with manually lubricated heads. 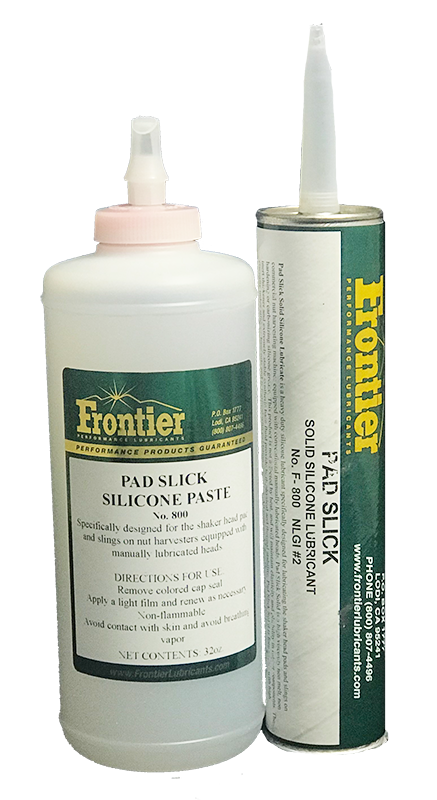 Pad Slick Solid should also be used to pretreat pads and slings between shifts of both manually lubricated and water injections systems to ensure optimal lubrication. 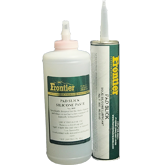 Pad Slick Solid is a high viscosity non melt, non hardening or carbonizing silicone grease. This product is not affected by heat, and will maintain elasticity and pliability in rubber components. 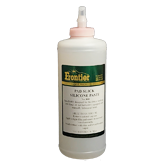 The inert thickener and extremely stable synthetic base fluid provide both physical and thermal stability. 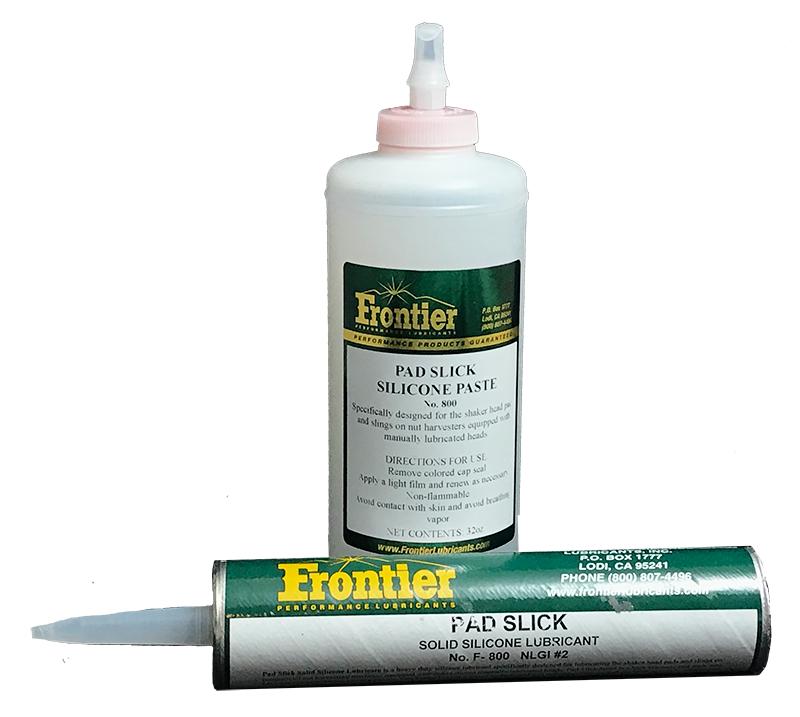 Pad Slick Solid is formulated with high viscosity index silicone base oils and is fortified with oxidation inhibitors. All components conform to NSF - HX1 requirements. 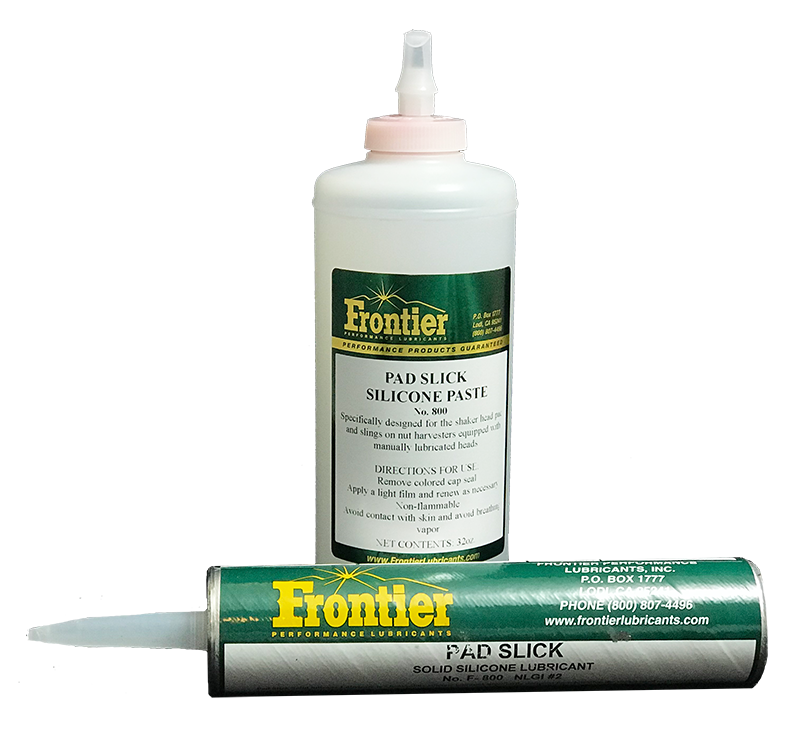 Pad Slick Solid is convenient and easy to apply and will remain on the treated surface. 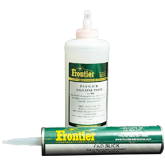 This product is not affected by heat and will not run off leaving the contact area susceptible to blistering and cracking. 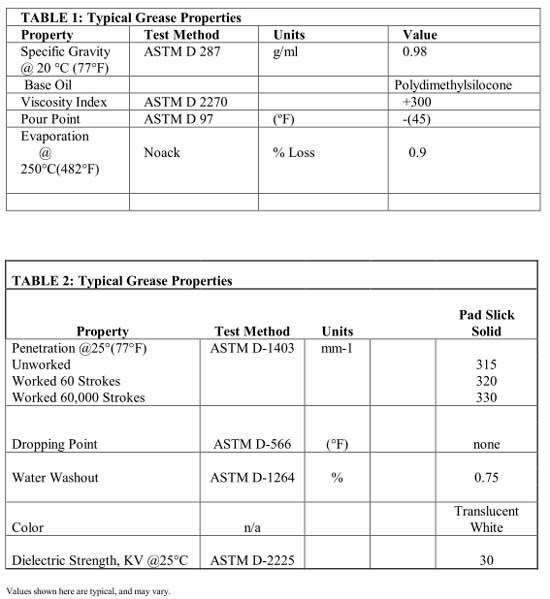 Pad Slick Solid will not leave a sticky residue to attract dirt and contaminants. When used in dusty and highly contaminated environments Pad Slick Solid will remain contaminant free and will not migrate to unwanted areas such as pillows, boom arms and other parts of the machine that need to remain contaminant free for ease of service. Pad Slick Solid is not a petroleum and will not cause the swelling and blistering common with petroleum based products. Will reduce operating temperature 40° to 50°F. 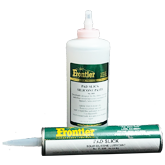 Pad and pillow life can be extended as much as 40% when using Pad Slick Solid in place of conventional lubricants. 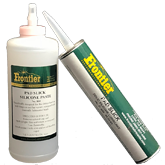 Apply a light thin film using a grease gun or caulking gun and renew as needed.